Wisconsin is known for below-freezing temperatures, snowstorms, and icy conditions throughout winter. Some dogs are all over it, while others need a little more help staying warm. What breeds are cold-hardy, and which should bundle up and brace themselves? These quirky animals were literally bred for Northern climates. Famous for their work as sled dogs, huskies have thick double-coats with soft, bouncy insulating fur under their guard hairs. They’re efficient – huskies eat less on average compared to other breeds when considering weight and activity level. Most of all, they (generally) LOVE the snow. 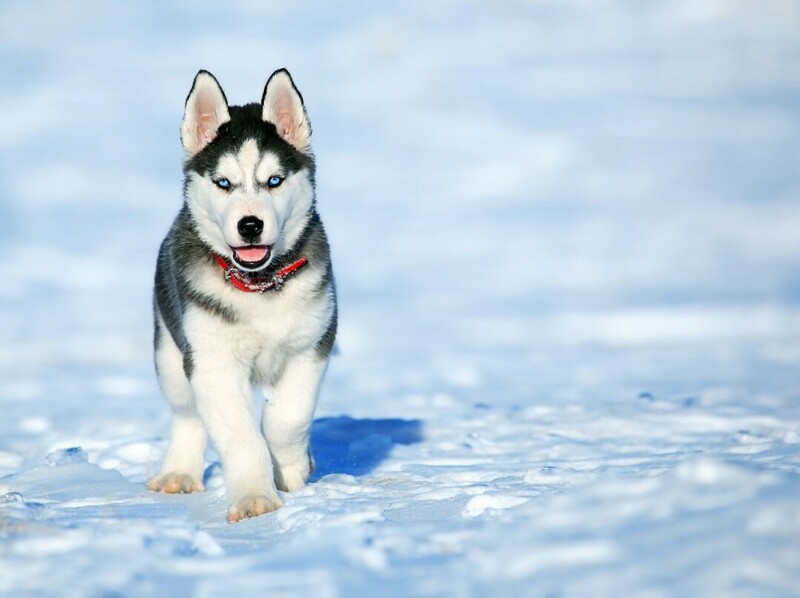 Many husky owners know that when the ground is white, it will be much harder to haul their beloved pets inside. Bernese Mountain Dogs are another breed designed to withstand cold temperatures and get things done. The animals were developed to protect farms and drive herds in the Swiss Alps, even being used to pull carts on occasion. These friendly, family-loving dogs have thick, silky coats that keep their large (75-110 pounds!) frames toasty in the snow. These herding spitz dogs were bred in Siberia to hunt, and then herd, reindeer – I kid you not. Sammy’s are snow-white with extremely thick fur coats. They’re strong and quick on their feet, able to run endlessly. And what seems like a sweet smile is actually another cold-proof adaptation: their mouth corners turn up to prevent drooling that would turn into icicles. Two big strikes for Chihuahuas are their tiny stature and their short fur. There’s not a lot of meat on their bones to keep them warm in cold weather. These little puppers are happier inside, or at least wearing some booties or a doggy coat. Greyhounds have very thin skin and fur – it’s perfect for regulating body heat after a summer run, but a big weakness in a white winter. When their core temperature drops, they send less blood flow to the extremities in order to prevent organ failure. Cold muscles are also more prone to injury, so it’s best to keep these sprinters warm. Due to their short snouts, bulldogs should be kept indoors in the winter if at all possible. They don’t have a long enough nasal passage to warm air before it enters the lungs, leading to quick drops in core temperature. Their feet and bodies are poorly insulated as well, making them prone to frostbite.